Victoria golf packages, and golfing in Victoria allows you to enjoy golf year-round amid the scenic splendour of the west coast, which has been blessed with a wealth of natural and man-made riches, including stunning heritage architecture framed by ocean views and mountain vistas. It is this rare juxtaposition of heritage charm, scenic backdrop and modern city-scape that makes Victoria one of the most uniquely special places in Canada. With a climate that’s moderated by the roll and thunder of the mighty Pacific Ocean, Vancouver Island is, without a doubt, one of the best places to enjoy a Victoria golf vacation. Victoria is a city of neighbourhoods, each with distinctive character and charm. And it is the neighbourhoods that make Victoria a unique and a desirable place to live. The downtown is a short walk, bike, transit or car ride away, making it easily accessible for those who like to live close to where they work and play. Victoria is also renowned for its excellent restaurants, ranging from hearty pub fare and international cuisine, to superb ocean-fresh seafood. Combine all that the city has to offer with exceptional golf for the makings of a great Victoria golf package! Pricing grid represents the lowest pricing available in a particular month;pricing subject to change based on firm travel dates. please see * at bottom of page. *Rates are per person and based on Double occupancy and are quoted as starting from. Firm travel dates and occupancy numbers could change the above pricing. Rates are based on the respective hotel property and 1 round each at Olympic View and Highland Pacific. Westin Bear Mountain pricing includes 1 round at Bear Mountain and 1 round at Olympic View. 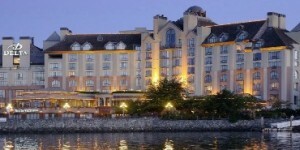 Crown Isle package is based on 2 nights accommodation in a Fairway Queen room with 2 rounds at Crown Isle.